We at the DIG have spent the past 5 years here in Guatemala doing lots of projects, building relationships, hosting teams etc. The thing we have done the most though, in truth, has been PAYING ATTENTION! Paying attention to the fact that we do not want to help people with hand outs but rather giving them a hand up. We have also been paying attention to you, our donors and volunteers who are looking for a way to help, to give, that is sustainable and truly helping! The only way to truly help people is to help them help themselves. It is through this philosophy and years of observation and Paying Attention that we have come up with a program that is working! Truly working!!!! And now its time to present it to you! Offering child and family sponsorships is valuable, of that there is no doubt. But the execution of these sponsorships is not sustainable. Merely showing up at the door of one family with a food basket to help one child or one family in a sea of thousands is not a healthy way to help anyone. Our thoughts have been, What if, through a sponsorship program you could help a family buy nutritious food, education and medicine for themselves? And thus, through many painstaking hours and months, and years we have come up with a viable, sustainable solution that helps many and keeps on offering a hand up for years to come while also providing a family with the opportunity to help themselves. We payed attention and asked the villagers what they think is the most draining financially on their meager resources….. There is no electricity up in the remote mountains and thus no lights. They rely on candles or kerosene lamps. These candles/kerosene must be purchased in the local town. Also, most families, through government programs of the past, have cell phones. These are needed for work and emergencies. It truly is their only lifeline to the outside world. Cell phone plans work differently here and a few cents left on a phone will roll over forever and all incoming calls are free so these phones are no cost to them except, the charging to keep the battery powered. With no electricity phones must be charged at local tiendas (stores) for a fee. People in villages are currently spending 3 to 5 quetzales per day on candles and/or kerosene. This is roughly 40 to 65 cents per day. They are also paying an average of 4 quetzales each time they need to charge their cell phones in town, which is about 50 cents. They charge their phones 4 to 10 times per month. This means that families are spending a minimum of 100 quetzales per month, to as much as 175 quetzales per month! That is 13 to 23 dollars per month, which is a LOT of money for these poor families that many months do not even earn that kind of money! 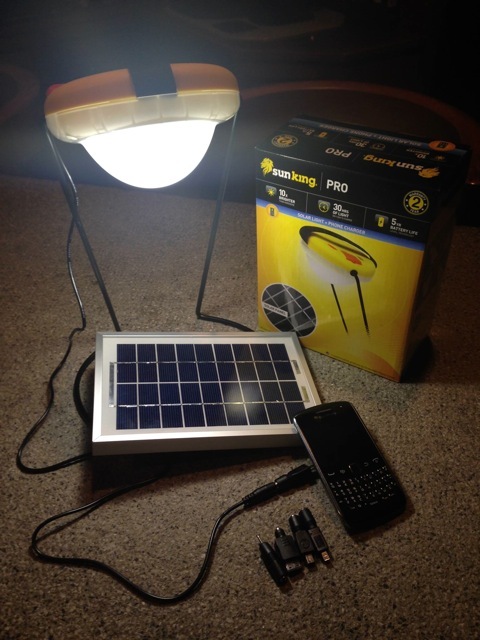 The SunKing Pro2 lamp and phone charger costs 550 quetzales, which is about 72 US dollars. The battery lasts 5 years. The light is WAY brighter than candles or kerosene. The light is COMPLETELY safe, with obviously no open flame or toxic fumes. The light is waterproof. The light can charge TWO phone batteries and still give lighting as well, on one day’s charge. The light is extremely durable. The benefits go on and on. We have now had our “trial lights” in homes for 3 months, and have seen the proven results. Don Viviano and family enjoying their solar light! But the largest benefit is the financial savings. Divided into 5 years, the lamps will cost 9.17 quetzales per month. This will put any where from 88 to 165 quetzales back into the hands of these poor families!!! That is amazing, incredible actually! This translates directly into better health and nutrition for all of them. That money will buy them more food for their families. For example, TWENTY POUNDS of beans costs 80 quetzales! Now here is where we have encountered a difficulty for families. They all see and understand the savings and benefits. But they all simply do not have 550 quetzals sitting in their hands. So, we have worked out, and implemented a payment plan for them, a micro-finance plan of sorts, wherein we purchase the lights up front, and they simply pay for them monthly, interest free. We already have a few families on this program, and it is going very well. We have decided to let them decide how much they will pay per month, with a minimum amount set at 25 quetzales. This will allow them to reap the benefits of the lamps immediately, while also allowing them to have access to the savings immediately, and be able to have some extra money to buy food already in the first month! Elias (age 13) buying a light to help his family!!! He will work in the fields to pay for his light. What an amazing heart and spirit this boy has! We currently have 3 villages on the plan, with 45 lamps in one, 48 in another, and 60 in the other. We bring all of the lamps to the village on the set date, and everyone signs up, gives their initial payment, and receives their lamp. We then return to their village on that same date each month, and the president meets us with all of the monthly payments and names. We have a page for each person in an inventory log, with record of payments in each family’s name. Most of the lamps will be paid for in full in one – two years. So, why are we doing this in this way? As with everything we are doing here, we are constantly trying our best to “give a hand up, not a hand out”. If we continually give, nothing will ever change, as people will always wait for the next “hand out”. That is it, simply. So this is where you come in….. If you want to “sponsor” a family…. buy them a light. Well, better yet, finance one for them! Your sponsorship lasts until the light is paid for and then it simply rolls into the purchase of another light for another family! Your sponsorship goes on and on. 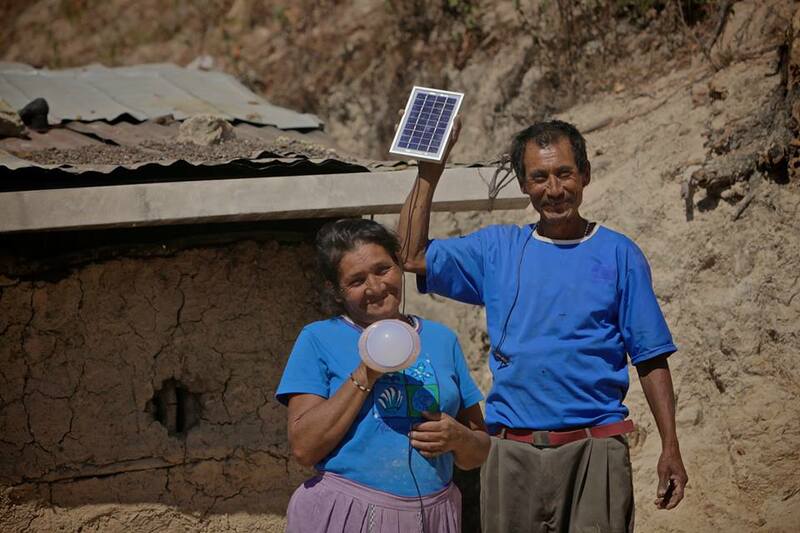 For a mere $75.00 you can provide light, and phone charging for a family freeing up their money spent on candles and charging to buy nutritious food for their families. They pay it back and then your $75.00 rolls back into the program to buy a light up front for another family. This frees up money for them to buy seeds to plant, food to eat etc. Win/Win! 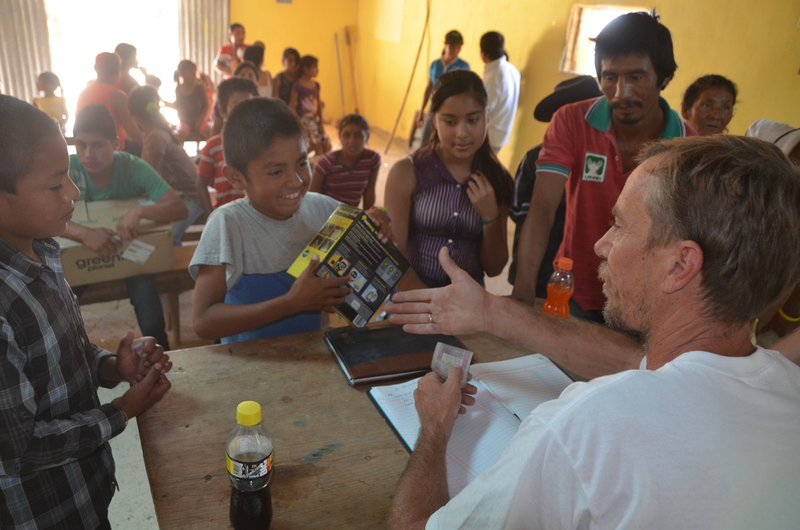 Basically the program works like this: $25.00 per month sponsors 4 families lights per year…. 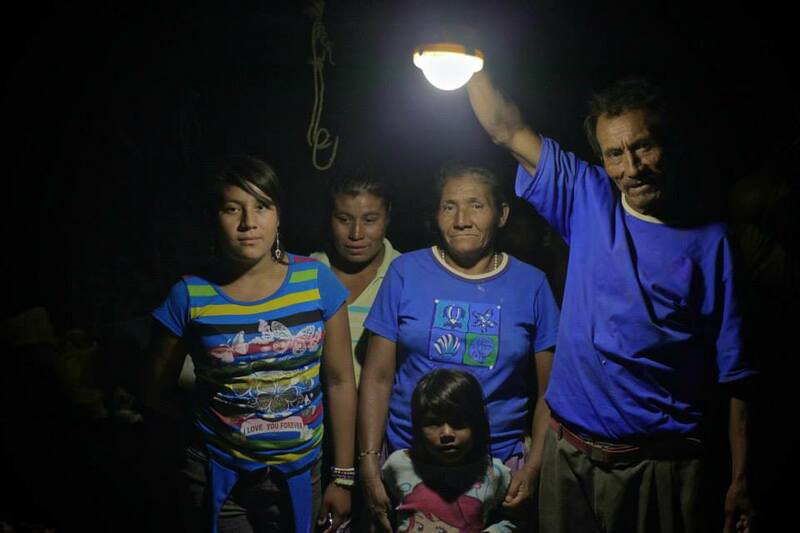 $50.00 per month sponsors 8 families lights per year…. and so on. For the price of a dinner out once a month you have directly changed lives of 4 families in dire need here in Guatemala. There are other options available too…. package deals that include life saving smokeless stoves and water filtration systems. There are countless ways you can provide health and wellness to a family here in Guatemala where there are no social programs to help them. Want to write to your families? To keep in touch with them and get to know them? Want to visit them? We have all this available and you will know exactly who you are helping all the time. You will be able to see first hand the difference you are making! Please contact us at info@thedoppenbergs.com if you are interested in participating in our micro-finance sponsorship program…. it truly is something that keeps on giving and providing a better future for the Mayan villages of Guatemala. The DIG and the Mayan people of Guatemala! In 3 months Don Viviano has been able to buy food and help send his daughter to school with what he has saved on candles and phone charging! Posted on April 23, 2014, in Guatemala Missionary, Uncategorized and tagged celebrate life, friends, grief, Guatemala, Hope, Malnutrition, mission, Missionary, nutrition, Volunteers, World Impact, Youth. Bookmark the permalink. 1 Comment. this…is the BEST thing to do! 🙂 wow….what a GREAT idea! 😉 thank you for giving a hand UP and not a hand OUT! what a huge benefit for ALL! thank you thank you thank you!